Any food plot, as well as mineral licks, no matter when they are established can be beneficial to wildlife, but it needs to be available throughout the year at those times, when wildlife most needs it. For me, I have tried both spring and fall food plots, but after several disappointing spring plantings that were devastated by deer, turkeys and other wildlife before winter, I decided that late summer or early fall planting, those put in late July and August worked the best for me. Just like any planting in order to do well, come up and used by wildlife when archery season opens, they need decent timely rains. With good weather conditions, there is a good chance that at least some of it will be available after the rut on into the winter. On one side, there are those who believe there is no need for food plots, believing that there is plenty for wildlife to feed on and they do more harm than good, while on the other side, there are those who feel food plots are something important wildlife and needed, especially in our northern tier of states. 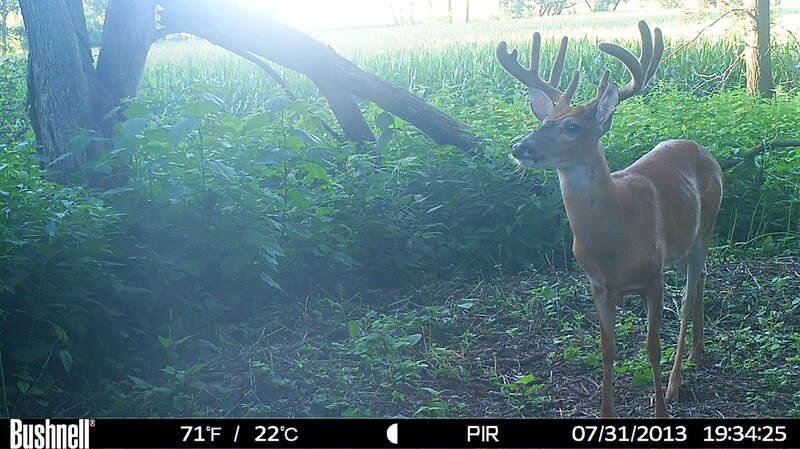 To me there is no doubt that good food plots concentrates wildlife. Making it easier for predators to find the game, but their benefits, especially during our cold tough winters, after the rut when bucks are worn out and later when does are carrying their fawns, when other good food sources are gone, or unavailable, is when wildlife suffers. This is when wildlife needs a place to feed, when having established food plots outweigh the disadvantages. They need to be in close proximity to the area where wildlife lives! During the winter, wildlife has very little energy to waste and if they leave cover and travel a long distance to get to a food plot they use up valuable energy, exposing themselves and more susceptible to attacks by predators. The closer a food source is to where wildlife beds down or roosts in winter cover, such as sloughs, CRP and wooded areas the better their chances of survival will be. 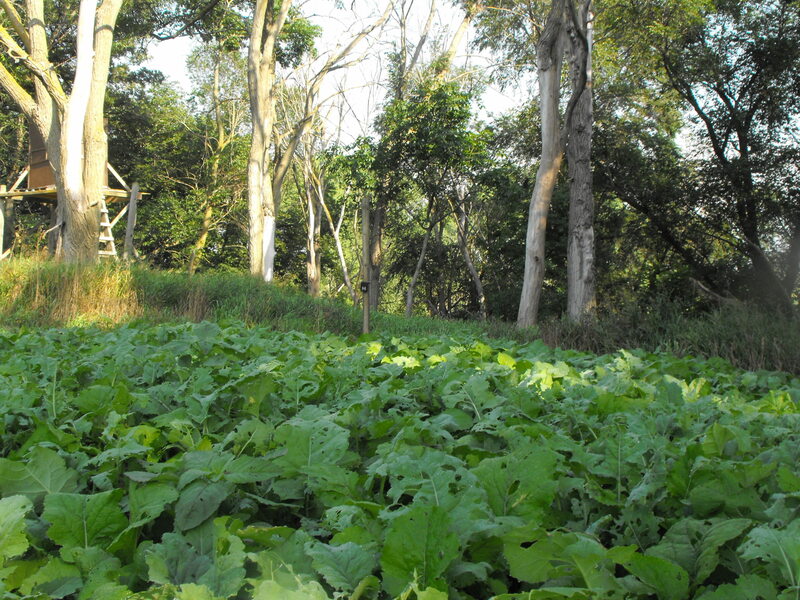 To be successful at establishing a good food plot, one there throughout the year, studies have indicated there are four important steps you should follow in order to have a successful food plot. They are seed soil contact, adequate soil moisture, adequate soil temperature, and adequate soil ingredients. Do not overdo it, tilling the soil too deep which brings up weed seed and you do not want to fight any more weeds than you have to in your food plot. Food plots and mineral licks when placed close to where deer travel, attract deer. 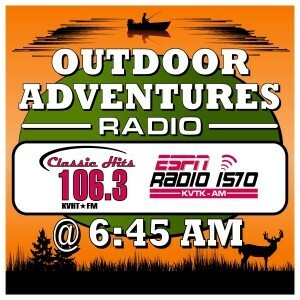 If game cameras are placed along these routes they let the hunter know what deer are using their property as well as to see which deer survived the deer season. Seeds have enough nutrients to germinate and send out roots, sending them out in search of food; this is why you should have an adequate supply of nutrients, those adequate ingredients in the soil at all times. Before planting, I would recommend that you do a soil test. The information obtained from the test will help to insure that adequate nutrients are present in order to assure your food plots success. There are several types of food plots that when planted in early fall will have enough growth by the time the archery season opens to attract wildlife, these include Brassicas, that include turnips, rapeseed, and radishes, cereal grains; wheat, oats, and rye as well as some annual clovers.